Fiona leads the Diligence and Monitoring Teams at Augusta. The Diligence Team assess the merits of cases for funding and manage cases through our review and approval process. Fiona works with the team to ensure we deliver an excellent service to claimants and law firms. In her personal capacity, Fiona has worked on a wide variety of cases including investor state arbitrations, breach of contract disputes, professional negligence claims and large multi-party claims. The Monitoring Team look after funded cases through to resolution and Fiona works with them to provide assistance to law firms and clients throughout the process. 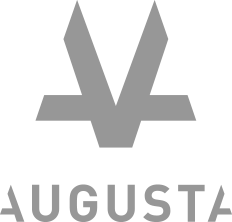 Prior to joining Augusta, Fiona was a Partner at Plexus Law and before that she was a Partner at Pinsent Masons for many years specialising in a wide range of commercial disputes with particular expertise in professional indemnity claims. Fiona holds an LLB from the University of Sheffield.